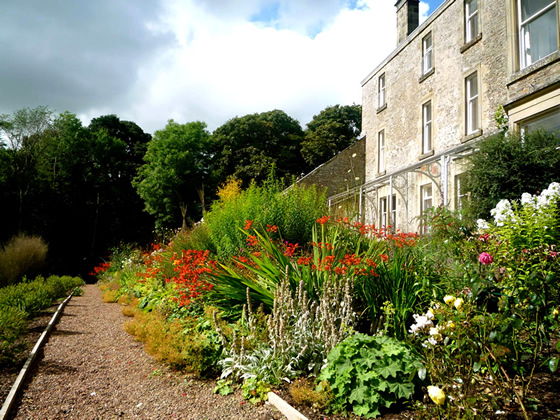 I’m just remembering what a joyful time we had at our friends’ wedding at Kippilaw House, just outside Melrose. It was a spectacular winter’s day which started with their wedding, in the open air, in amongst the stones of Melrose Abbey, and the party continued at the bohemian Kippilaw House, through a driveway which was an absolute forest of snowdrops. For those of us who partied late but did not sleep over at the giant house, we returned for a breakfast the next morning, made complete by wedding guests playing Edith Piaf songs on the living room piano.